There are New York Water Taxi ferry stops at IKEA and behind Fairway. The new citywide ferry Red Hook stop is coming to Atlantic Basin next to PortSide NewYork and MARY A. WHALEN, promised start date is summer 2017. 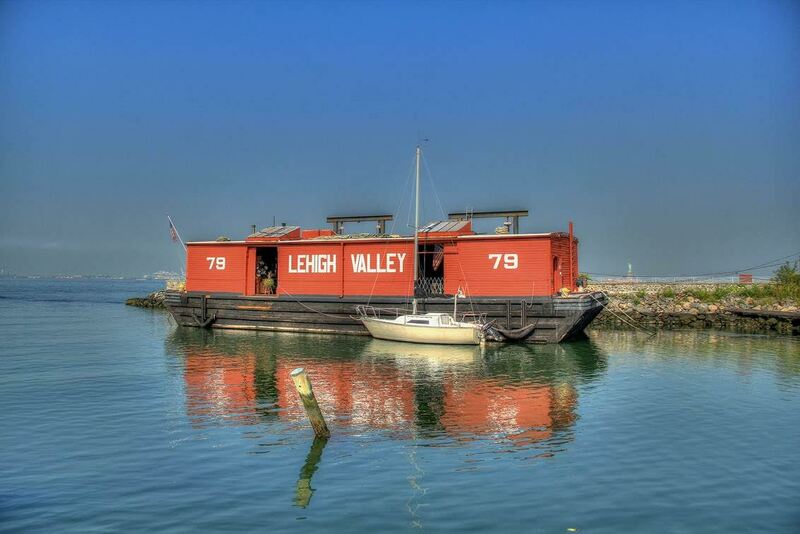 The LEHIGH VALLEY 79, Pier 44, southern foot of Conover Street. An atmospheric wood, railroad lighter barge, built in 1914. Feels like a barn afloat with a ceiling festooned with nautical artifacts. It is last of its kind in the USA, on the National Register of Historic Places and the home of Waterfront Museum and the Sharps family. Open Thurs 4-8, Saturday 1-5 and for special events, performances and exhibits. School, camp, tour and senior groups by appointment any day of the week. The YANKEE ferry, Henry Street pier, GBX. This is the last surviving Ellis Island ferry, built 1907. It is the home of Victoria Mackenzie-Childs and Richard Childs and opens to the public for occasional events. Leave on a cruise ship from Red Hook. Schedule and cruise lines here. It may be possible to leave on a containership from Red Hook. A few freight shipping lines take a limited number of passengers. We are seeking an update on shipping lines that call at this port. Check back! Free kayaking on weekends in Valentino Park thanks to the Red Hook Boaters. Sundays, 1:00PM - 4:00PM: June 5th until September 25th and some special events. Valentino Park is a City approved launch site for human-powered boats. The Parks Department requires you apply for a permit and only use the launch between sunrise and sunset. Full rules here.